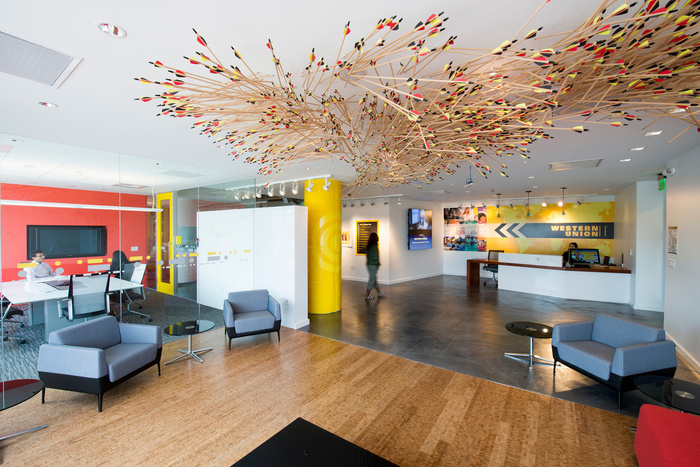 FENNIE+MEHL Architects developed the new San Francisco offices of financial services company Western Union. Western Union needed 1) a new digital platform for online and mobile money transfers, and 2) a new tech savvy staff to create the necessary apps. Management turned to San Francisco, where tech talent is abundant, for their new location, and gave carte blanche to F+M to create the new Western Union digital brand.